This is a "no excuses" diamond. 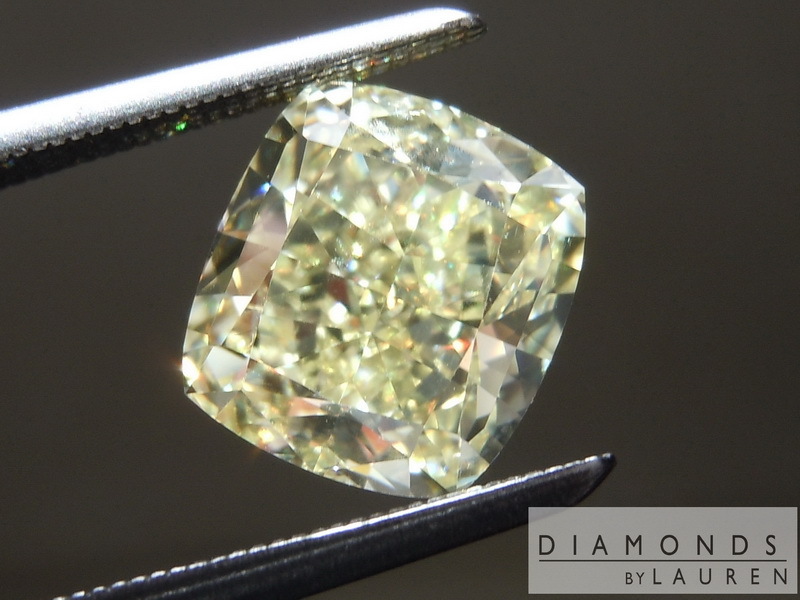 In terms of size, 2.62 carats put this stone much closer to 3.00ct in terms of desirability. 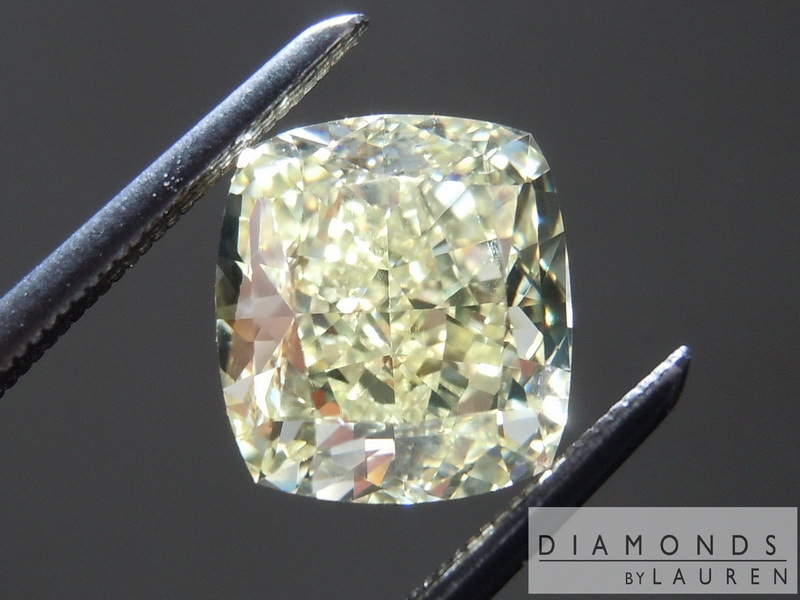 In terms of availability, there are far more 3 carat diamonds on the market as compared to stones between 2 1/2 and three carats, like this one. 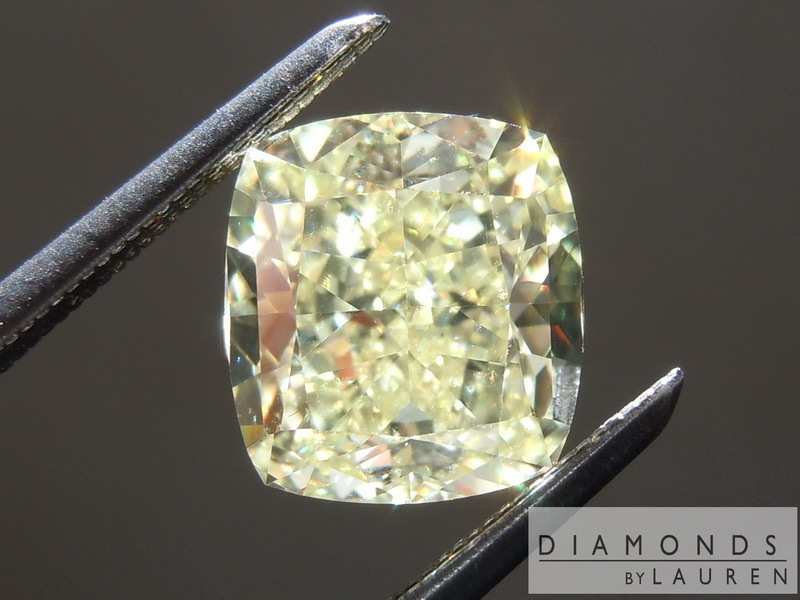 The stone is special in terms of its color. 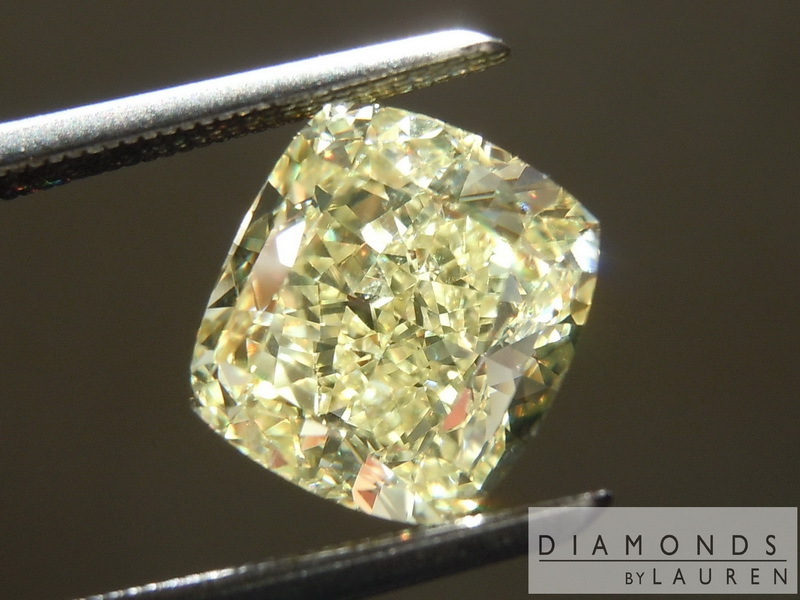 It was graded Fancy Yellow by GIA – and it's a beautiful pure yellow. I would say the stone is approximately 7 on a scale of 1 to 10. In the scale 10 is very close to intense yellow, one is close to fancy light yellow. 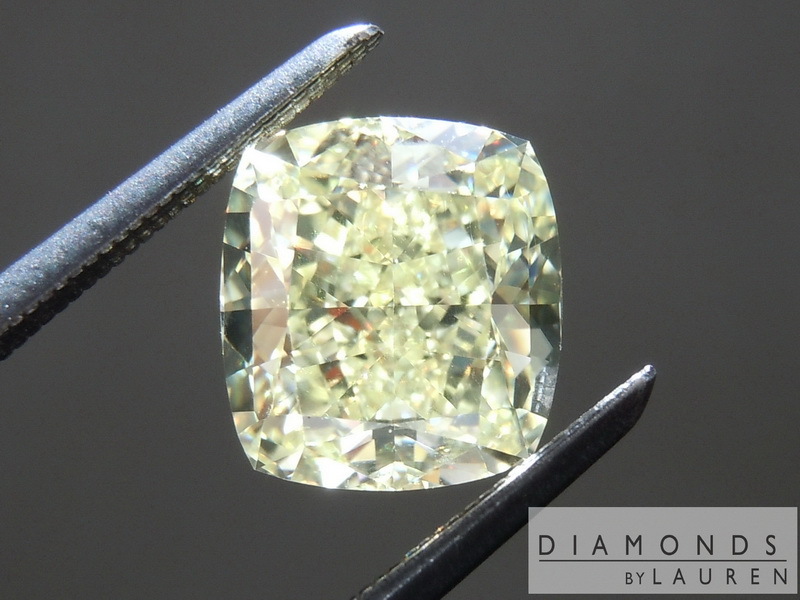 In terms of cut, it is also a special Diamond. The table, at 54%, is almost antique in proportion. It creates a generous crown. 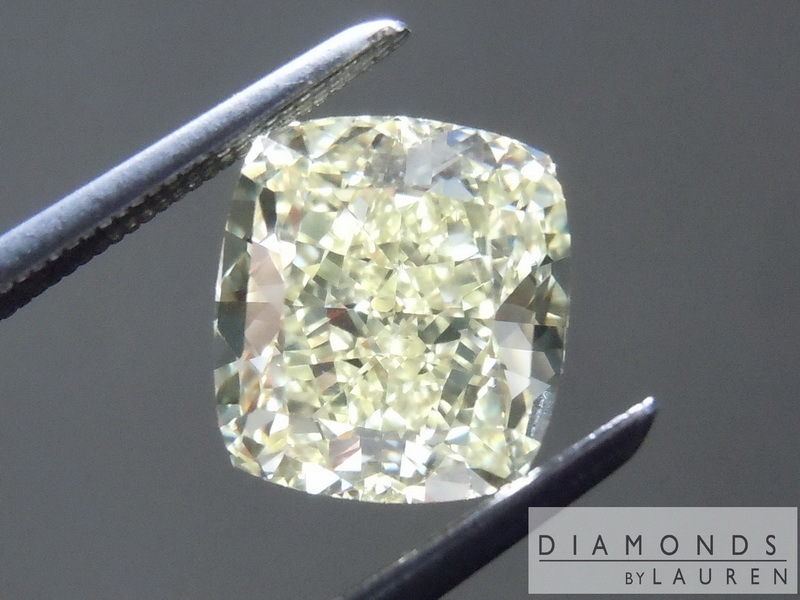 Great care was taken by the cutter to produce an even the sparkle. The stone has good size for its weight, and the outline is just beautiful. VS1 clarity meaning there's no issues whatsoever in terms of that. 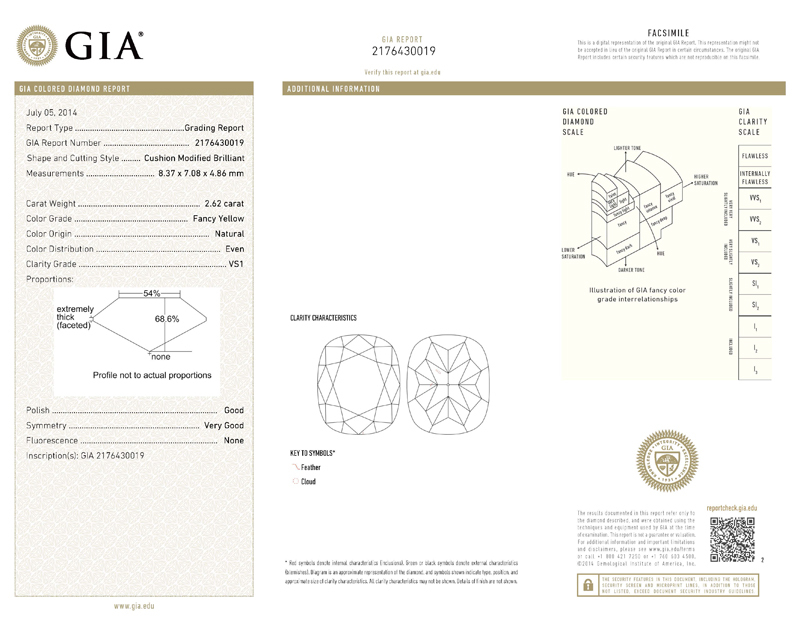 Very important – the stone has no florescence. Put it all together and it's a great value on a beautiful stone. 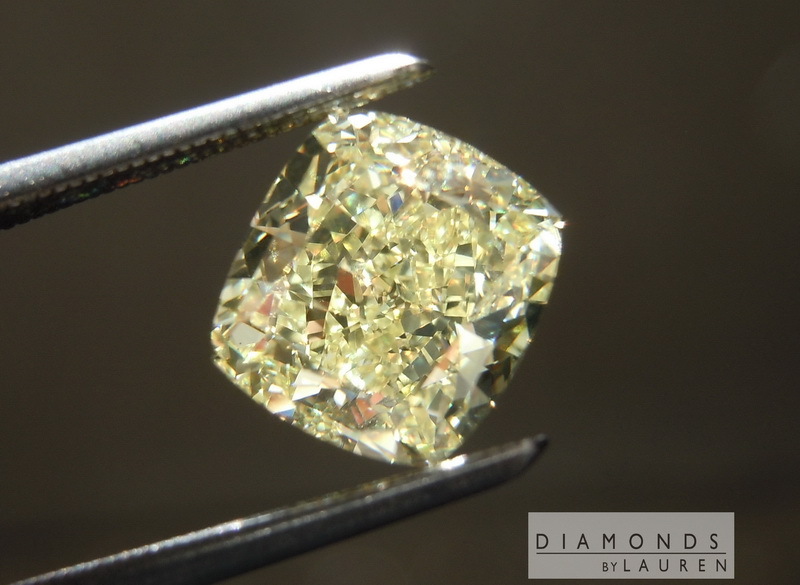 In one of our settings, this diamond will look like an Intense Yellow.